Today we will talk about the new experience system that has been implemented into Assault Squad 2. Generally speaking, the game is keeping track of your progress as you are collecting various profile stats as well as experience points. 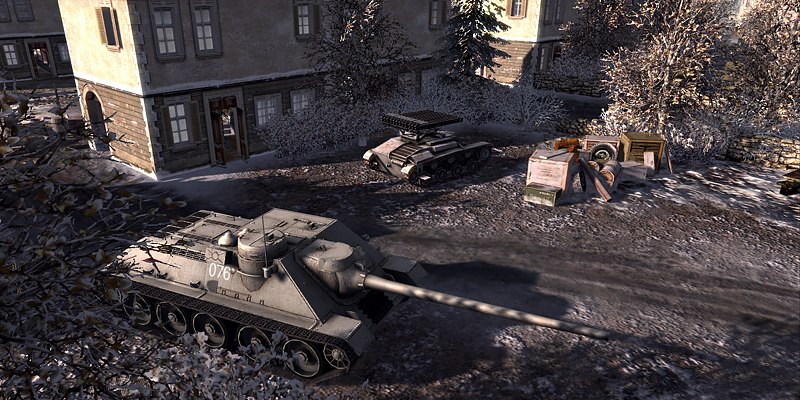 During your career as a WW2 commander, you will level up and get access to new units in multiplayer. 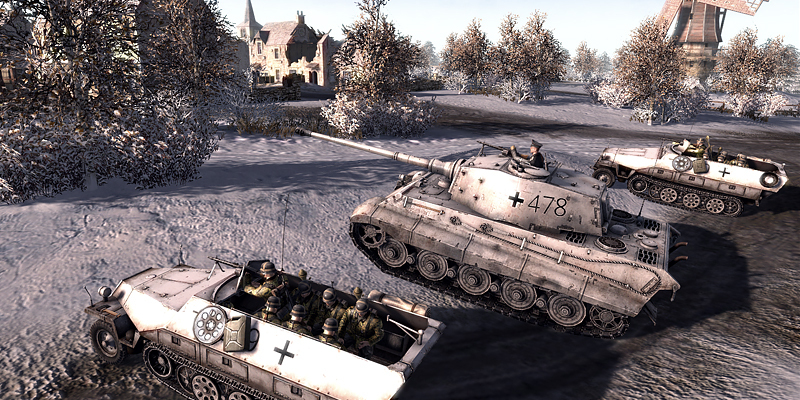 Singleplayer is not affected by the system, as unit selection depends on the type of missions you are playing. Below you can see a player profile badge. It shows you your Steam profile as well as you ranked score, your rank (out of all players in the world) and your level (you can select any faction via a drop down menu). Best of all, you don't need to register up, you don't need to log-in, you just start the game and everything is set up! If you play with friends, you will get an XP bonus. On top of that, you get an XP bonus if you own the deluxe edition. If you are an experienced player, you will level up rather quickly. We have no intentions to keep you playing for hours and hours just to reach the next level. Also, if you play singleplayer, you will be able to collect XP for every achievement unlocked. So granted you played through the singleplayer campaign of one faction, you will already have plenty of units unlocked. Keep in mind, XP and levels are individually collected for each faction. All units you need to win a match are available. Unique or rare units are disabled and will be unlocked one after another when progressing. For instance a motorcycle, a jeep, a king tiger are disabled. On the other side all at-guns, at-rifles, bazookas are enabled. In Assault Squad 2 we tried our best to make this game more accessible and less frustrating to new players, without losing the uniqueness and intriguing level of detail. One of these steps was to implement a feature that flattens the learning curve for players and guides them through the multiplayer experience. The more units are available, the more choices a new player has, the more mistakes he can do. We are locking units away that are difficult to use. Once a new player collects some experience more options open up for him as he progresses. Thanks to the system, we can also add way more units than before without overwhelming players in the future. Veteran players on the other side, get a much bigger reward for playing online by collecting more stats than before and receive a reward for every game they played. Quitting a game early costs you all XP you collected during the match, so even if the odds are against you, staying in-game and doing your best will be rewarded no matter if you win a match or not. You might wonder, why do you need to unlock units that you have had access to in AS1? It's really not that big of a deal, playing just a couple of games will unlock you most of the units. The better you are, the faster you progress. More advanced players can even transfer units to you that are not available in your purchase list yet! What happens if you hate the system? You simply disable it and play custom games instead, mods are not affected either. Does this turn into a pay2win? Absolutely not, we designed this system to create a better gaming experience, not to milk money out of users. As time goes on, we will listen to your feedback and add improvements along the way. This is just the first step into a much more personalized gaming experience we are aiming for. Stay tuned for more exciting new features! Men of War: Assault Squad 2 is available for pre-purchase on Steam.